Singapore must keep honing its strengths if it is to remain a leading regional market for specialist insurance, said Monetary Authority of Singapore managing director Ravi Menon yesterday. He said at the official opening of financial services provider Allianz's new regional centre at Asia Square that the firm's story reflects Singapore's own development in the industry. Allianz entered Asia in 1910, offering just fire and marine insurance. In the decades since, it has expanded into 14 markets and now employs more than 35,000 people in the region. Similarly, just 10 years ago, the Singapore insurance industry was focused on pure domestic risks, but it now has the capacity and expertise to underwrite large and complex risks across Asia. 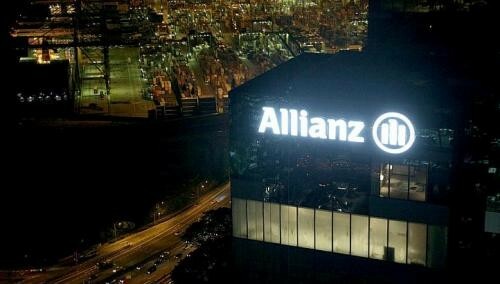 Allianz's new office is also bolstering Asia Square's evolution into a Singapore version of London's Leadenhall Street, where many prominent insurers and brokers are located, Mr Menon said. "Such physical co-location will help to promote greater exchange of ideas and collaboration, and create an insurance marketplace that is committed to deliver customised and innovative solutions." But Singapore has more to do to stay ahead, Mr Menon noted, adding: "To be the premier specialist insurance market in Asia, Singapore must deepen its underwriting expertise in reinsurance and specialty insurance with an Asian focus." He also warned that insurers can no longer rely on investment income or rate increases alone to compensate for weak underwriting. Even as Singapore's insurance industry diversifies its activities to include capital markets, it must continue to stay focused on core competencies in underwriting risk, he said. And there is a lot of growth to capture. Over the next decade, the insurance business in Asia is projected to grow at about 8 per cent a year, and by 2020, the region is likely to account for almost 40 per cent of the global market, Mr Menon noted. But it is vital that insurers seeking to expand in Asia have a deep understanding of the risk landscape, he added. "Aggregate exposures have grown steadily in Asia, due to rapid urbanisation and economic growth over the last two decades. Asia's strong record of development means that we have more to lose from unforeseen calamities." In 2011, for example, the three costliest events - the Japanese earthquake and tsunami, Thai floods and New Zealand earthquake - caused a combined insured loss of almost US$70 billion (S$89 billion).